UmiDigi S is the a affordable smartphone with a premium design. The smartphone features two cameras on the back with support for 4K video recording. UmiDigi S promises top-class performance an octa-core processor, long battery life, and Android 7.0 (Nougat). UmiDigi S offers a full metal body for a premium look and feel. The body is 98% metal and available in Black or Gold. UmiDigi S features a 5.5-inch display from Sharp. The display offers 1080 x 1920 pixels resolution. The front of the phone is covered in Corning Gorilla Glass 4. On the back the UmiDigi S sports two cameras: a 13 megapixels camera and a 5 megapixels camera. The camera can record ultra HD video. For taking selfies, the phone has a 5 megapixels front facing camera. UmiDigi S runs Android 7.0 (Nougat). You also get the Umi OS introduced in the Umidigi C Note 2. It is powered by a Mediatek Helio P20 chipset with a 2.3GHz octa-core processor. UmiDigi S has 4GB RAM and 64GB built-in storage with support for up to 256GB memory card. UmiDigi S supports Bluetooth 4.1, Wi-Fi, GPS, USB Type C, and 4G LTE. The phone will support LTE on MTN, 9Mobile, NTel, Smile, and InterC in Nigeria, while in Ghana and Kenya you can connect via MTN and Safaricom respectively. Umidigi S is available at a price of around $199.99. You can buy it for $201.99 on GearBest. You can also find the smartphone at online retailers like Banggood, Chinavasion, and AliExpress. 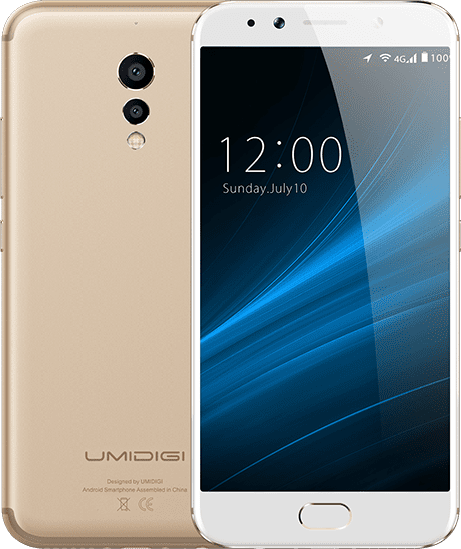 The Umidigi S may endup selling on Jumia Nigeria as some of the older models from the company are currently being offered by an international third party seller. When that happens, Umidigi S price in Nigeria should range from 75,000 Naira and 125,000 Naira.